We're at a point in the digital age where we really don't ever need to use CDs or LPs ever again. Ever. Yet, many of us still line our shelves with jewel cases or keep our records packed away in boxes. The truth is, once the music is imported to a computer or portable music player, the original disc is kinda useless. So why do so many of us choose to hold onto them? Do we want something tangible to justify the purchase? Do we like to show off our massive music collections? Do we all just have pack rat mentality? Whatever the reason, it's not good enough. It's time to declutter and make the move to digital! If you have a portable music player (like an iPod), you likely use a computer application (like iTunes) to manage your music. However, you've probably only imported your favorite CDs and downloaded the rest of your music from the iTunes Store (or *ahem* some other not-so-legal method). Why not just go the extra mile and import everything? Try this. Every day while you're at your computer, pop in a CD and import it to your digital music library. The great thing about using a digital media application like iTunes (or my personal fave, DoubleTwist) is that the album artwork is often downloaded for you automatically- that is, unless you're importing off a homemade mix CD - then you're out of luck. 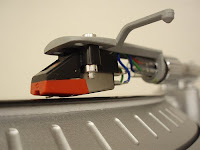 Believe it or not, you can also import your LPs by using a USB turntable (for an option under $65, check out the Ion TTUSB Turntable). However, importing vinyl requires a bit more work. You have to actually play the LPs in order to record them. That means an LP with one hour's worth of music is going to take at least an hour to import. Depending on how much you love your music library, this process could be either a) fun or b) tedious. Also, your digital media application (like iTunes) is likely not smart enough to match the tracks up with the original album data, like artwork and song titles. That means you're going to have to add all of that manually. Once you import your records, box them up and sell them. While you're at it, sell the USB turntable - you won't be needing it anymore. Now for some damage control. Once you've imported all of your music to your computer or iPod, you definitely want to have a backup solution in case your hard drive were to ever crash or get corrupted. I highly recommend purchasing an external hard drive that does routine backups of your digital music library (for a solution under $100, check out the LaCie 1 TB USB 2.0 Desktop External Hard Drive). Before jumping the gun and selling everything, you probably want to make sure you aren't letting go of any collector's items (particularly those vinyls). When in doubt, get it appraised. If by chance you discover that you're rich, please feel free to share the wealth. Its funny you should mention this Joe. Currently, there is a box of CD cases being stored for me at my parents house. I was bold enough back in college to get those giant black binder books that stored all my CD's (in alphabetical order 0f-course). I know I don't need those cases... But now... Out of site out of mind. My mom keeps asking me if she can throw it out, and I keep saying "let me come home and take a look at them before you toss them". This is a stalling method. I just can't let go of them just yet! And about my actual CD's. I love the collection. I love staring at the CD's themselves. They're so shiny, and round... and I'm laughing as I write this, but I just love to see how many I've collected in the years. (now that I'm reading this comment over, it might be time to start downloading to Itunes). Joe! Sometimes you make me angry by making me see the light of 2010. I'm not a fan of change as you can tell, but i guess it's time.